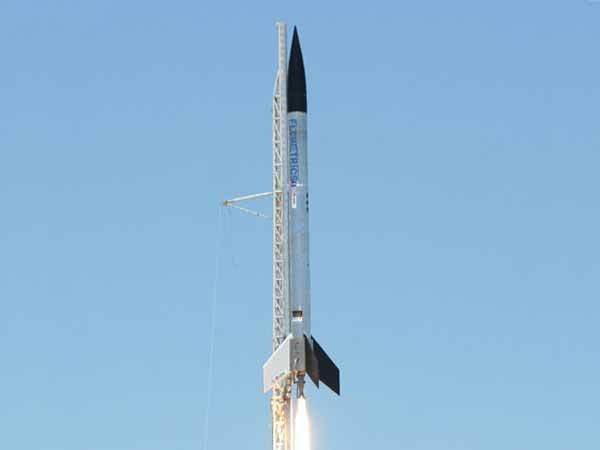 We launched the Biofuel rocket on July 11th at the FAR rocket test site near Cantil, CA, east of Edwards Air Force Base. The fuel was a renewable JP-8 developed by the EERC at the University of North Dakota for the Air Force Research Lab at Wright-Patterson. 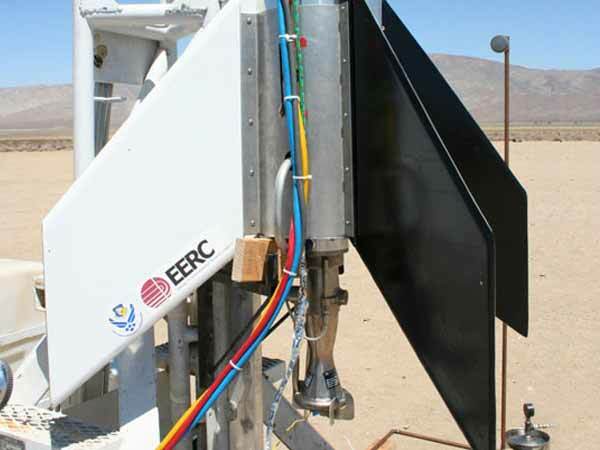 The fuel was developed under a contract with DARPA and was procured for us by Bob Allen at the Fuels and Energy branch of the Air Force Research Lab at Wright Patterson. The Biofuel worked quite well, propelling the rockets to a speed near Mach 1. The rocket propulsion system exceeded expectations. Our predictions for the flight indicated a maximum Mach number of about 0.9, just under the limit of supersonic flight. Although the Biofuel launch had a successful burn, the recovery system failed due to the fins experiencing critical flutter near apogee. We have flown these types of fins, tanks, engines, and pressurization systems before with no problem, therefore, we are left to believe the Biofuel had a much higher specific impulse than expected. Flometrics originally built the rocket for Discovery Channel’s “Mythbusters” TV show. In addition, we were currently working on biofuel plant fluid dynamics at the time, so we decided to use the rocket to test whether Bio-Diesel would work as a rocket fuel. Besides the obvious environmental perks of using a cleaner, sustainable fuel, one can imagine growing oilseed crops on other planets to provide fuel for return vehicles. Also, there is always interest on how new designer fuels may improve rocket performance. Flometrics initial static fire test using commercial grade Bio-Diesel proved a success, so we attempted to launch the rocket on Biodiesel. Unfortunately, during the launch the rocket had a hard start, which cracked the oxidizer manifold. However, this revealed a key safety attribute of the renewable fuel. With fuel and oxidizing spraying out on to a live igniter, there is a high potential for disaster. The low flammability/high flash point of the BioDiesel fuel left only an unusually small fire on the launch pad, leaving the rocket practically unscathed and ready for another launch attempt. For more see our article in Biodiesel Magazine. For the final launch, we slowed down the fuel valve opening to prevent a hard start and used a more robust igniter [made by Jeff Kent with assistance from Ken Mason]. 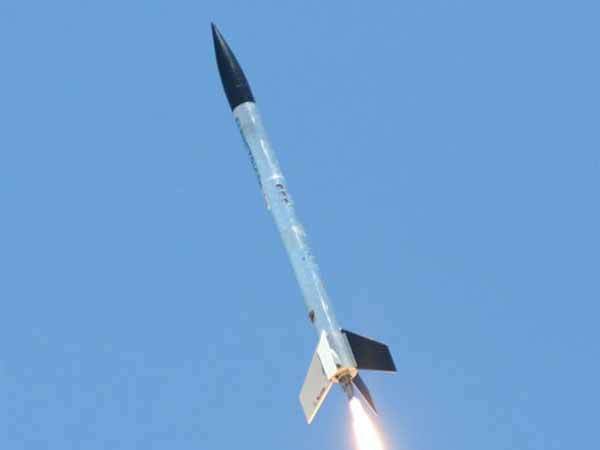 Overall, the fuel performed extremely well, with a flawless burn during the test flight. After the flight, we took apart the rocket engine to observe how the fuel performed. 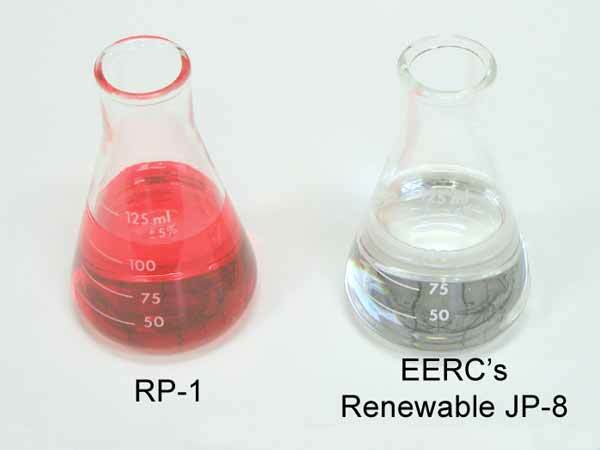 We noticed that the Biofuel burned much cleaner that the Jet A or the RP that we have used in the past. The injector plate normally is covered with a layer of sludge, but in the case of the Biofuel, it was very clean. The inside of the engine was coated with a layer of soot similar to what we usually see, which is good because it reduces the heat transfer. There was no visible damage to the engine, which is also good, because the engine will burn through if there is any reduction in cooling capacity of the fuel. The evidence from the biofuel rocket engine testing promotes confidence that one-day space vehicles will be able to travel using safer, cleaner, and sustainable fuels.